Sending event notifications to friends is as simple as typing in their email. 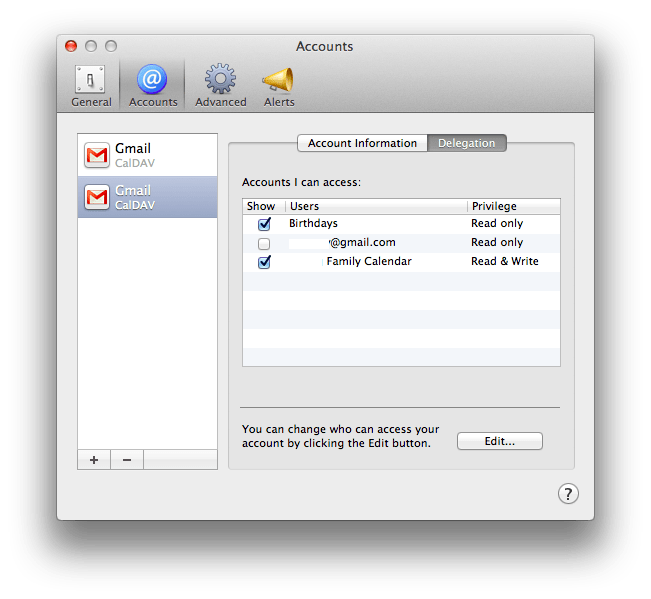 When making a new calendar event simply type your friend or families email into the Invitees section (located under Alert) and it will send them an email containing the event information. Your friend can choose wether to accept or decline. If your friend or family accepts it will show a check mark next to the name. To create an event quickly just click the “+” button or “command” + “n.” When creating an event keep in mind iCals new smart feature where it can tell what time to set an even if you put in phrases like “on Saturday at 7am until 10am.” This helps to create less havoc when creating many events, so that you do not have to go through the monotonus work of adding times, dates, alerts, and many other things. 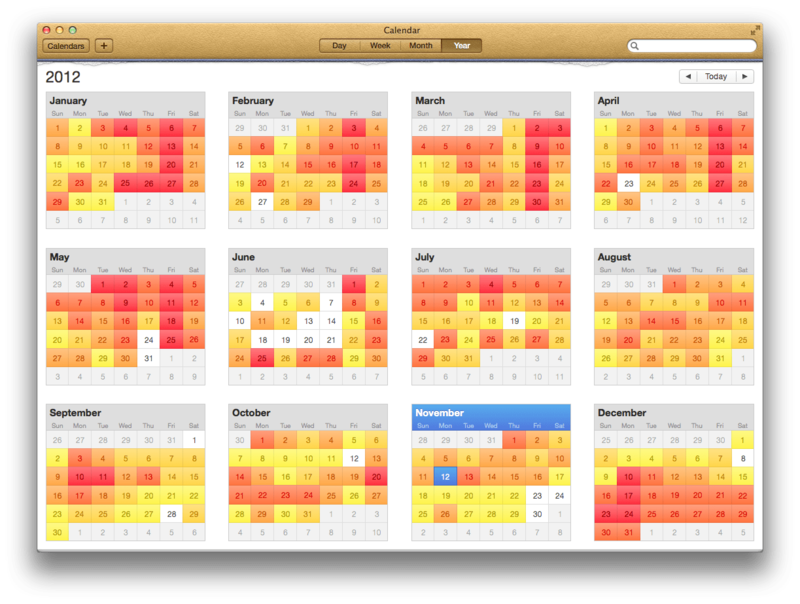 The heat map is a cool new feature that when in the Yearly calendar viewing mode you can see the days when you have the most things going on. The heat map is a helpful visual for what is coming ahead in the year. Setting full-screen mode is very simple. 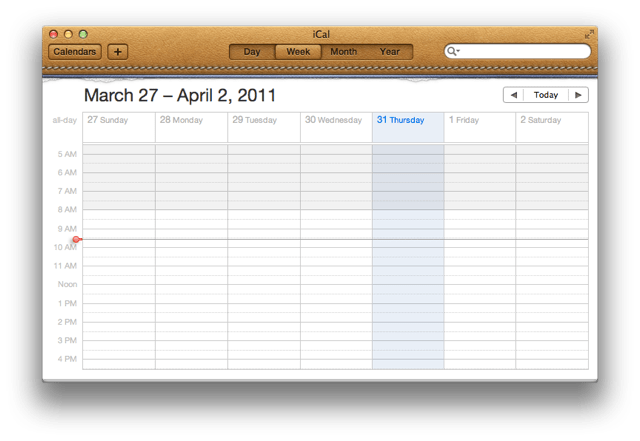 Just like any other application goto the top right of iCal and click the expand buttons. To get out of full-screen mode just goto the top menu bar and click the retracting arrows.